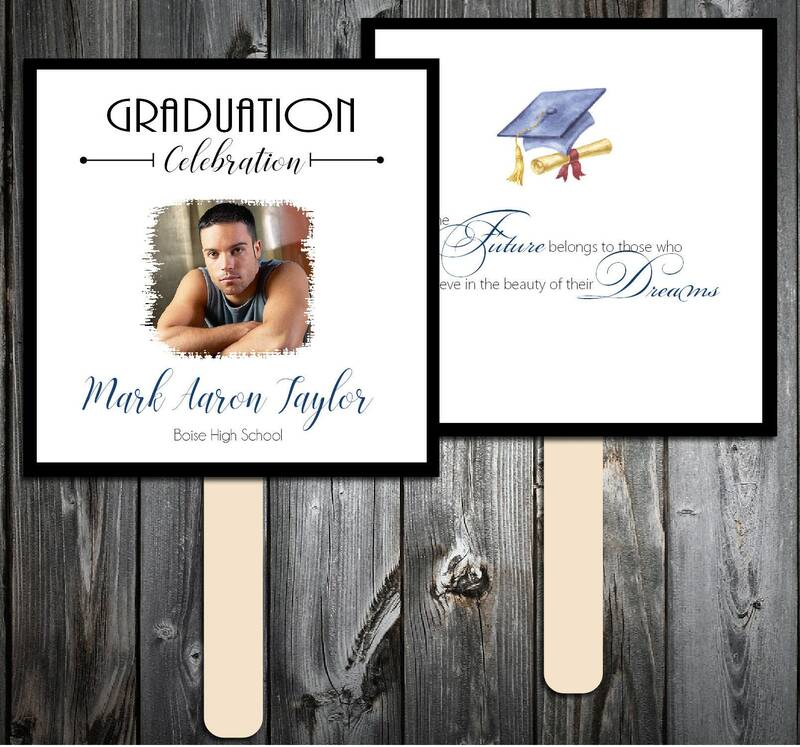 Graduation Fans Kit - Printing Included. 100lb cardstock and measures 5 1/2" by 5 1/2" when folded. These will come cut to size and scored for you for easy folding. Color choices are listed above in the picture. fan measures approx. 8 1/2" from top to bottom. 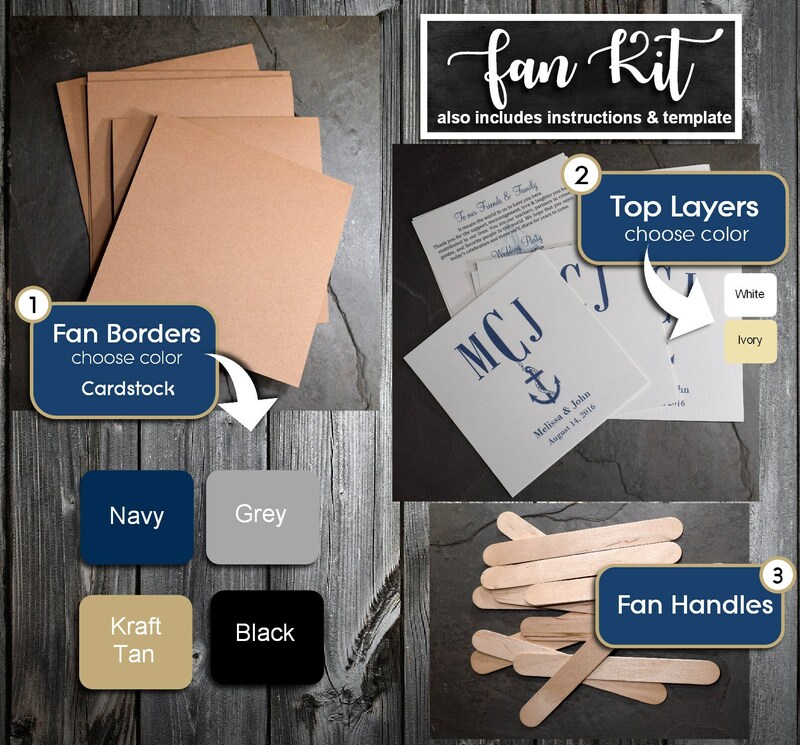 Front and back top layers: Your fans are double sides with your personalized information. These will come printed and cut to size to fit perfectly on your fans. Top layer is printed on your choice of white or ivory textured stationery. 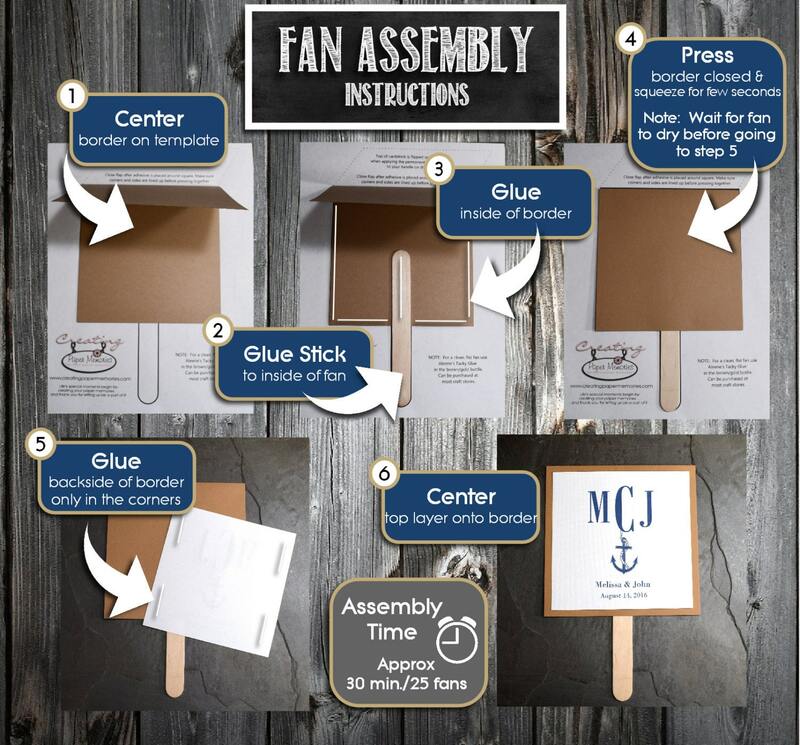 Fan kit will include all pieces to your fan (except for glue) and also will include instructions on how to assemble the fans. A quick overview of how fans are assembled is in the picture above. Your wording can be totally customized to what you want on these. Price includes black ink for main wording. 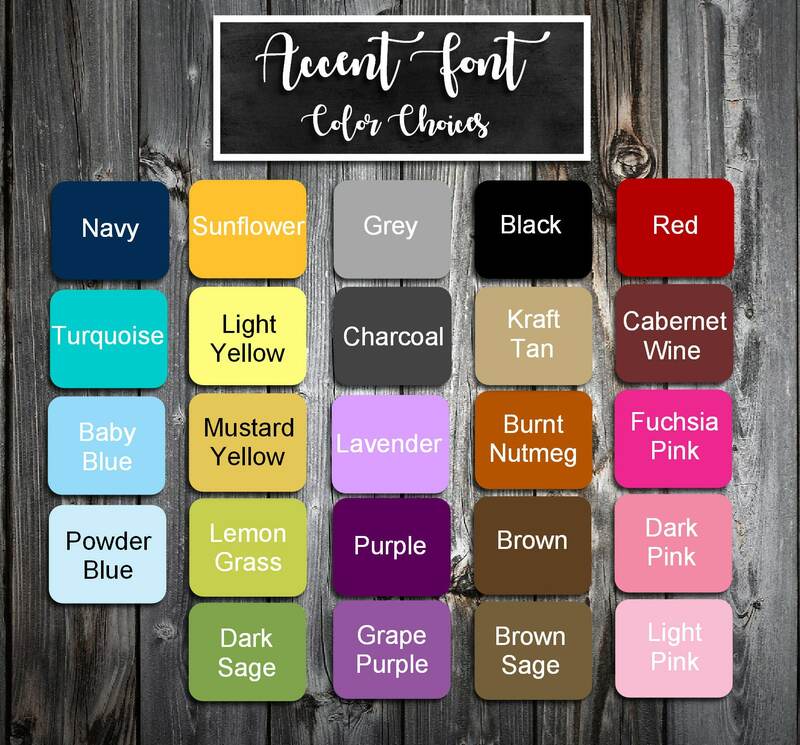 Title wording color can be changed to match border color or wedding colors. Please look at picture in this listing for example. You can either put your wording in the comment section of the payment or you can email it to me to my email address the is provided in your purchase confirmation. These fans can have any wording you would like as long as it fits so please submit your wording with the wording you would like. After you purchase be sure to read your order confirmation email for instructions on how to submit your wording. After you receive your proof you can let me know if any changes need to be made. Just keep note that each email can take up to 24-48 hours to answer so be sure to have others look over your proof so the proofing process can go quickly. Once you approve your proof your item will be shipped out within 3-10 business days. A shipping date will be given to you once your item(s) are scheduled to print. Just depending on how many orders are in front of you will determine your ship date. If you're late on getting your planning started and need this item pretty quickly, that is ok.....just be sure to message me so I can make a note on your file to schedule your order to ship out as soon as possible. This item will be shipped priority mail and you will receive a tracking number when the item ships. Once your item ships please allow 2-5 days for delivery.